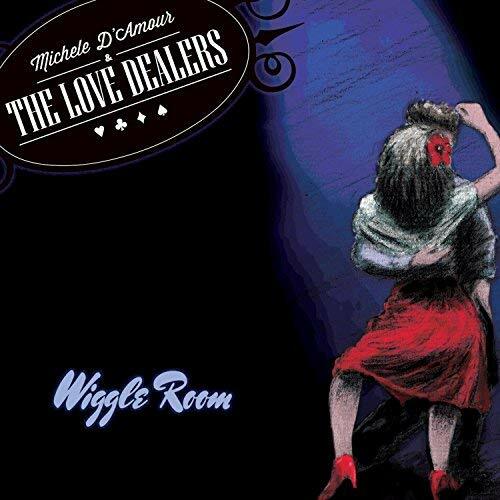 I just had the opportunity to review the most recent release, Wiggle Room, from Michele D'Amour and the Love Dealers and it's a cool mix of blues, pop and rock. Opening with Falling Down, a solid rocker with Patrick McDanel on driving bass, Jeff Cornell on guitar, Dave Delzotto on drums, Brian Olendorf on keys and Noel Barnes on sax, all supporting the lead vocal of Michelle D'Amour McDaniel. Shuffle track, Sweet Lovin Man showcases Michelles vocal work and a solid sax solo by Barnes. With it's walking bass line, Nothing To No One has a solid melody and the somber trumpet lines of Greg Lyons set the track off nicely and highlights really nice piano lead by Olendorf. Rocker, Been So Long has great energy with slicing guitar riffs from Cornell and solid organ work by Olendorf. Worthy is a moody ballad with a particularly nice sax solo by Barnes. Wrapping the release is Hard Times, a definite pop/radio style track but with a strong melody and instrumentation, a perfect closer for the set.